To keep the same functionality as before you can turn on “Direct Disc Access” from XMMB Settings column. 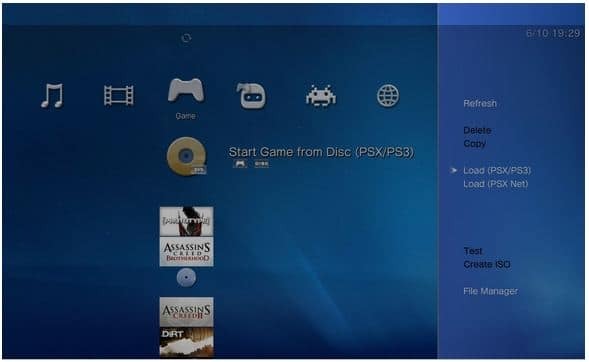 >>> Press [TRIANGLE] -> Enable Direct Disc Access >>> When in Direct Disc Access mode you can rip BD movie discs, launch games, but you can’t create backups of PS3 Game Discs. >>> Do not use “Direct Disc Access Mode” unless you really need it. If you don’t know what the heck is multiMAN, multiMAN is an applciation for the PS3 that allows you to copy/backup PS3 games directly into the PS3 internal or external hard rive. multiMAN 02.09.00 is available to download from PS3Crunch, or by launching the multiMAN app on your PS3 and updating directly from there.